The Jacques Cartier Bridge is seen in this CP file photo. 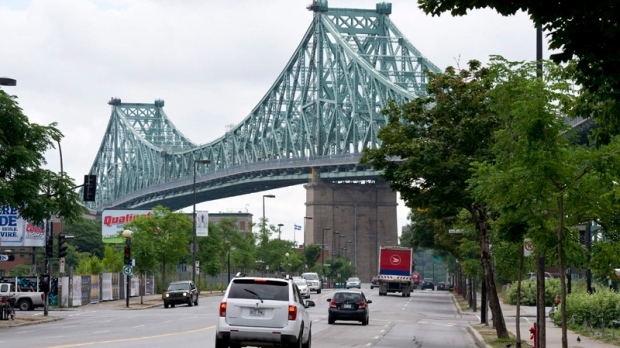 Court documents show that Quebec prosecutors are working with the RCMP on the possibility of new criminal charges against SNC-Lavalin tied to a contract to refurbish Montreal's Jacques-Cartier Bridge. 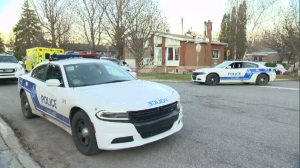 In December, Quebec court approved a request by prosecutors to retain until June thousands of documents seized by the RCMP in connection with an investigation that drew on more than two dozen witnesses. If the provincial prosecution service pushes ahead with the four potential fraud charges outlined in court filings, the embattled engineering giant would face a legal battle on another front. In October, federal prosecutors told SNC-Lavalin they would not invite the company to negotiate a remediation agreement over fraud and corruption charges that stemmed from alleged dealings with the Libyan regime under Moammar Gadhafi between 2001 and 2011. SNC has filed for a judicial review of that decision. In court documents, the RCMP lays out a bribery scheme involving a $127-million Jacques-Cartier Bridge contract in the early 2000s. Former federal official Michel Fournier pleaded guilty in 2017 to accepting more than $2.3 million in payments from SNC-Lavalin in connection with the project. SNC-Lavalin tells The Canadian Press it will continue to work with authorities, noting the court files involve employees and third parties no longer affiliated with the company. Allegations in the latest court documents have not been proven in court, and SNC-Lavalin has not been charged.